When I started trading commodities in the fall of 1990, the price of gold was $400 an ounce. From September of 1990 to September of 2005, the price of gold ranged from around $280 to $450 an ounce: a difference of $170 over 15 years. Over the course of any given year, a $40 to $50 move in the price would be considered a big – in a single year. Nowadays, that’s an afternoon. Since September of 2005, the price of gold has been on a historic run – from $450 per ounce to a high of $1,875 per ounce in 2011. Now gold trades at around $1,650. The average investor probably didn’t pay much attention to the first part of the rally in gold, but once it convincingly crossed $1,000 in 2009, most market watchers keep an eye on gold along with the Dow, the S&P 500, and the price of crude oil. What was once only watched by central banks, insurance companies, and gold miners suddenly has become as mainstream as IBM and Microsoft. In fact, I would say that gold is even bigger. Indeed, it’s arguable that gold has become the world’s third most important currency. As the financial crisis of 2007-2009 unfolded, many people flocked to gold as a “safe haven” investment. The average small retail investor can easily invest in gold through exchange traded funds, or ETFs. But what about other precious metals? What about silver? Silver has had an impressive run up in price as well, and may even have more upside than gold over the coming months and years. Silver had an incredible run, just like gold, from 2005 to 2011. It went from having a value of approximately $7 per troy ounce to $35 per ounce over that time period. In percentage terms, that’s even bigger than the gold move. Silver has many traditional industrial uses. Historically, silver was a key component in film used in most cameras. The rise of digital cameras, however, has practically made film obsolete, but the development of cell phones and other technology has helped fill the void. Silver is used in virtually every electrical appliance in the world due to its low resistivity. Photovoltaics, the method by which solar radiation is converted to electrical power, requires silver for both semiconductors and solar panels. There is growing use of silver in the medical profession, as silver has antibacterial properties. Other new silver applications include use in wood preservatives, water purification, and food hygiene. Everyday items, such as refrigerators, mobile phones, computers, washing machines, vacuum cleaners, keyboards, counter tops, and even clothing contain varying amounts of silver. Gold, on the other hand, has limited industrial uses. Jewelry, particularly in developing countries like India, accounts for over two-thirds of annual gold demand. Dental and medical applications account for about 12% of demand. But one has to wonder: If the price of gold keeps going up, at what point will demand decline because it’s too expensive? For example, will consumers in developing countries continue to buy jewelry if gold goes to $2,500 or $3,000 an ounce? Even luxury items have a point at which people stop purchasing them. Products like consumer electronics and solar technology, however, seem to still have tremendous upside. This is because they use silver which is still quite reasonably priced, relatively speaking. Though the rise in the cost of silver is equal to or greater than gold in percentage terms, it’s still just over $30 an ounce. Therefore, it seems unlikely that cost will be a limiting factor when it comes to the industrial uses for silver. The same, however, can not be said for gold. The U.S. government has had to pump so much money into our economy that the value of the dollar is diminished. Countries, such as China, that hold trillions of dollars in U.S. bonds, are concerned that they have too much money invested in dollar denominated assets. So what do they do? They buy gold, essentially swapping some of their dollar risk for gold risk. Silver and other precious metals, such as platinum and palladium, have also benefited from the stress caused by the recent financial crisis. While gold is still the preferred vehicle as a hedge against fear, silver has a growing appeal as a safe haven. As investing in silver becomes easier, more people may try to take advantage of that play to protect their portfolio. Over the years, traders have used many different methods to track historical price trends, such as a stock’s price to earnings ratio (P/E). Tools such as these have given analysts a quick way to view financial instruments not just in terms of absolute price, but in terms of relative value, or the instrument’s value in relation to something else. Several years ago, a Tennessee bullion dealer named Franklin Sanders set out to determine the historical average price of gold related to silver. In his research, going back to 1792, he found the price of gold was steadily 16 times that of silver over 130 years. Interestingly, after the creation of the Federal Reserve in 1913, the ratio started to fluctuate more. In the last 100 years, the ratio of gold to silver has been as high as 96. This fluctuation has caused the historical average of the ratio to rise to 27.28, and today the gold-silver ratio sits around 51. Many traders believe that financial ratios, especially those that are based on widely traded and historically significant products like gold and silver, return to these historical patterns. If gold were to stay steady at today’s prices, around $1,600 per ounce, the price of silver would have to rise to $58.65 per ounce, or almost double, in order for the ratio to return to 27.28. If the ratio were to go back to 16, the price of silver would have to rise to $100 an ounce. Traditionally, to own a precious metal like gold or silver, you had to purchase it “physically,” meaning you had to have an actual piece of metal. 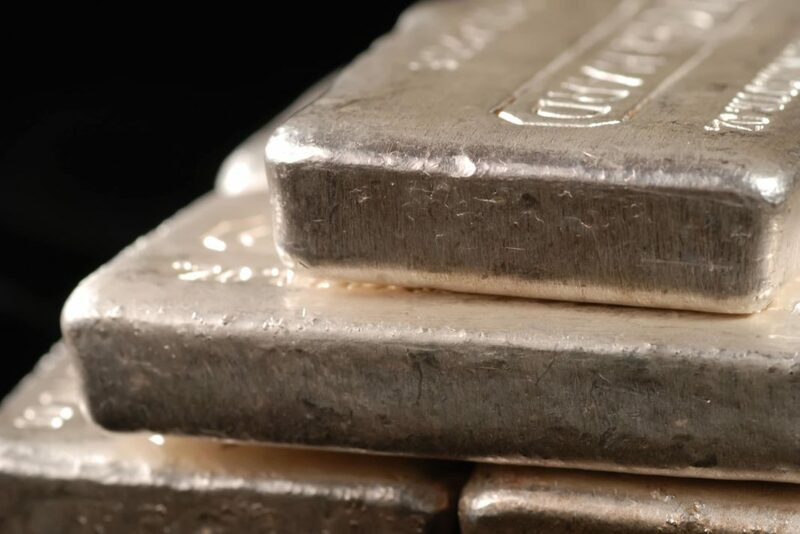 Silver bars of 100 troy ounces weigh approximately 6.8 pounds and are still available to retail purchasers. Their flat shape makes them suitable for storage in a home safe or safe deposit box. While some people still purchase bars, coins are far more common. The two most popular silver coins are the one-ounce, 99.99% pure Canadian Silver Maple Leaf and the 99.93% pure, one-ounce American Silver Eagle. 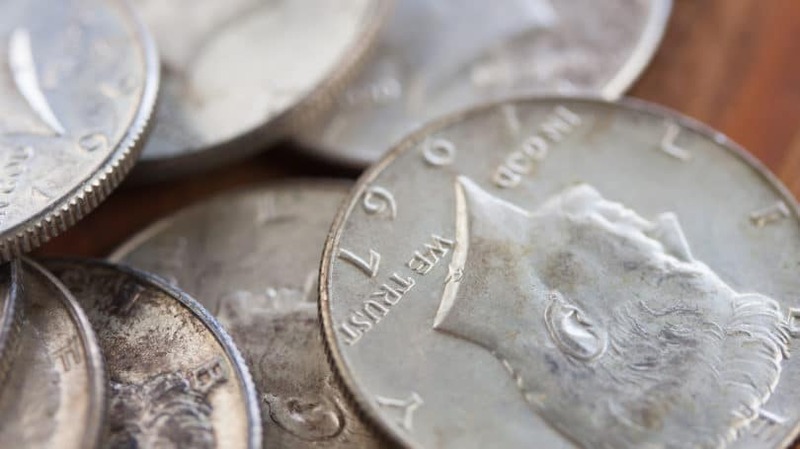 Coins made up of “junk” silver, or around 90% silver, were minted until 1964. These collectible coins include dimes, quarters, halves, and one-dollar pieces. Exchange traded funds, or ETFs, were launched in the early part of the 21st century as a way of “tracking” the price of certain products, mostly commodities. There are ETFs for crude oil, natural gas, gold, silver, and a host of other products. The upside of ETFs is that they trade like stocks and move pretty much exactly how the spot futures move. Spot futures are the most actively traded futures on the exchange that represent the most accurate near-term, or “spot,” price of a commodity. If you have a brokerage account in which you trade stocks, you can trade an ETF for silver, such as the iShares Silver Trust (NYSE: SLV), or the ETFS Silver Trust (NYSE: SIVR). Buying and selling these products allows you to participate in the price movement of silver without actually getting a piece of metal, which is much more convenient for many investors. Purchasing shares in companies that mine for silver is another way to gain exposure to the silver market. Companies rarely mine silver alone, as silver is often found within or alongside ore containing other metals such as tin, lead, zinc, or copper. Therefore, shares of stock in mining companies give you exposure to many base metals. Shares in companies like Silver Wheaton (NYSE: SLW), for example, give you an exposure to metals, particularly silver, without actually tracking the price of the metal. These companies generally make more money as the price of base metals rise, so their stock price tends to rise and fall in line with the price movement of the underlying metal market. Gold and silver are extremely volatile commodities, and investing in them is not for the faint of heart. They are not products that you can trade day-to-day, and the severe price swings involved with gold and silver can scare anyone. Never trade over your head, and always trade for the long-term. But if you have owned gold for the last seven years or so, you’ve done well. The same goes for silver, although it’s not as popular yet among mainstream investors. The extreme volatility of worldwide markets, the European debt crisis, and the Great Recession have all contributed to a higher level of fear in the investment world than in years past. 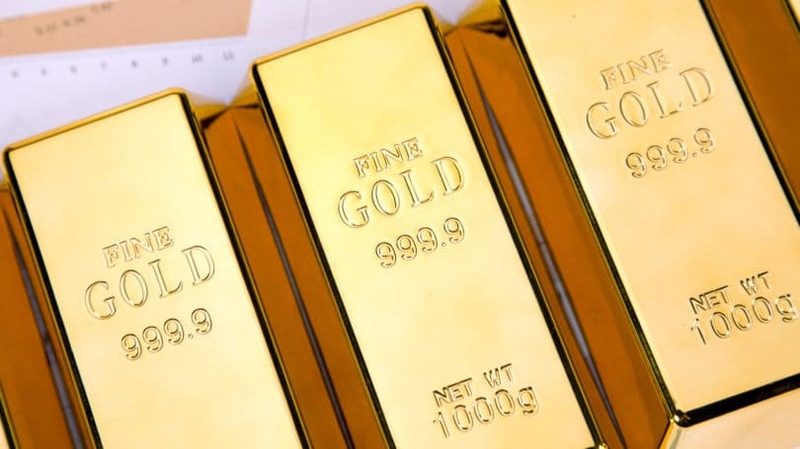 Owning gold and silver can be a valuable hedge against economic instability and can help to balance your portfolio, especially in terms of dollar risk.